Photo Provided A vacant in the Elm Grove area of Wheeling burns Wednesday night. 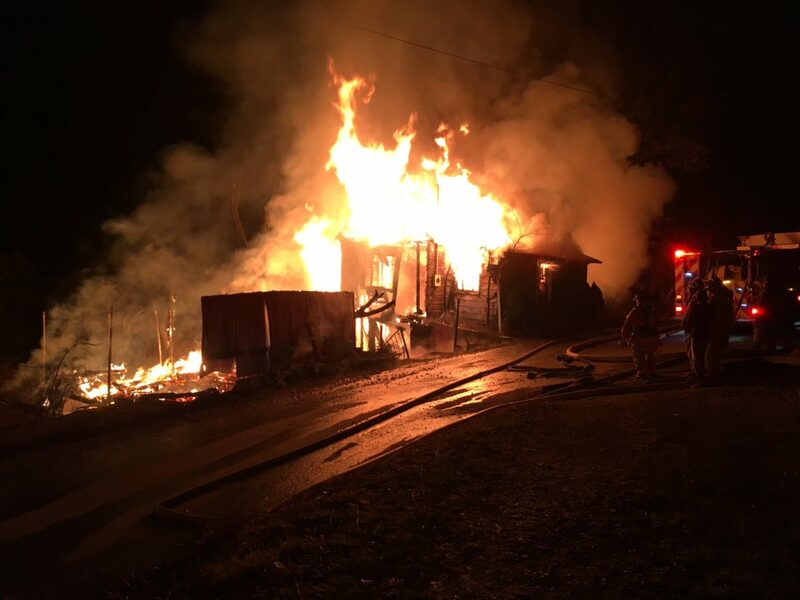 WHEELING — A late night fire at a vacant house in the Elm Grove area kept Wheeling firefighters busy overnight Wednesday. According to Wheeling Fire Department Public Information Officer Philip Stahl, the fire was reported to 911 dispatch at 10:50 p.m. Wednesday. Flames could be seen from nearby Interstate 70 as the blaze consumed the vacant structure at 1257 Park View Road. Multiple fire companies responded to the fire, including engines 10, 11, 2, rescue 1 and ladder 1. According to Stahl, fire crews were faced with a fire hydrant with low water pressure, and were forced to lay hose to another hydrant down the road from the scene. He said they also had concerns of overhead power lines as they fought the flames. AEP officials were called to cut the power. The name of the owner of the house was not available this morning. Stahl said the house was located on a hillside with another home located about two lots away. He said the fire was contained to the vacant house. Most of the fire crews cleared the scene at 2:45 a.m. today. However, one crew maintained a fire watch overnight as the rubble was still smoldering this morning.